This article focuses on financial reporting and roll-up solutions for not-for-profit organizations utilizing Microsoft Dynamics GP. Financial reporting and consolidations can mean different things to different people. Many larger Microsoft Dynamics GP not-for-profit customers are managing the finances of a parent organization with multiple locations rolling up to it. First things first, let’s define financial roll-ups or ‘consolidations’ as it is typically called in the corporate world. It can simply mean that an organization is combining data from multiple locations either as part of the planning process or for reporting purposes. It can also mean a lot more than just combining data. Financial consolidation is the process of aggregating transactional data from several departments and from multiple business entities within a company for the parent company. In these cases, simply combining data can be complex for multiple reasons. For instance, legal entities can have different charts of accounts or fiscal years. They may also be partially owned. This article will explore the elements and functionalities of financial consolidation for your non-profit organization using Microsoft Dynamics GP. This article focuses on financial reporting options for non-profit organizations utilizing Microsoft Dynamics GP, zooming in on features and functionalities to expand your analytics. Financial reporting has traditionally been the lead singer if Business Intelligence (BI) processes were in a band, and it is no different for non-profit organizations. If you’re utilizing Microsoft Dynamics GP, you know that the accounting system is equipped with several native financial reporting functions. However, plenty of organizations are moving to independent software vendor (ISV) offerings for their regular financial reporting tasks, but why? Third party software solutions for financial report writing are designed in response to consumer demands, streamlining and expanding analytics for more robust insight into your data, trajectories, successes, and challenges. This article will explore the benefits of an ISV financial report writer for non-profit organizations using Microsoft Dynamics GP. This article will discuss today’s best budgeting and forecasting tools for not-for-profit organizations, specifically regarding their built-in features and functionalities to expand your Microsoft Dynamics GP experience. Budgeting is such a crucial task, no matter if you’re budgeting for yourself or on the organizational level. Regarding not-for-profit (NFP) organizations, budgeting might be the particular reason you are still afloat, living within your means to deliver for the community. Recently, I had the opportunity to speak with NFP budget contributors, and the common theme was that technology has historically been restrictive when trying to meet modern planning goals. Excel might suffice for your household budget, but is challenging for any healthy organization. 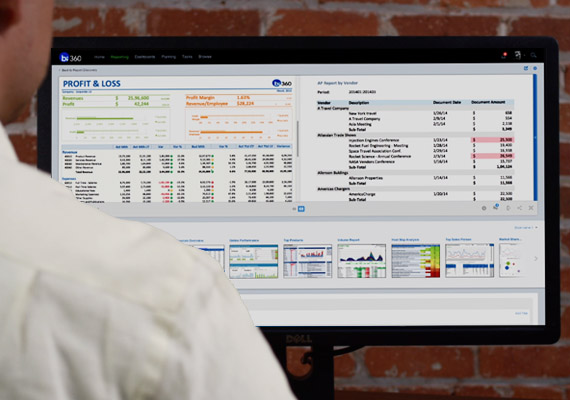 If you’re reading this blog post, you’re likely shopping around for independent software vendor (ISV) budgeting software that can read your historical Microsoft Dynamics GP figures and/or perhaps data from additional sources, like payroll from ADP or Ceridian, to streamline and improve your planning process. Today’s planning solutions deliver secure collaboration functionality for planning tasks, which makes the inherent teamwork easier, so that your organization can be successful in living within their means. In this article, we’ll continue discussing the impact of data warehouse solutions for not-for-profit organizations who are using the Intacct accounting system. Some people might think that non-profits are functioning outside of the typical business model, but in reality, data is driving the same vital decision-making for not-for-profit organizations. As non-profits do the hard work of staying on track with budgets, donors, grants, members, and so forth, a data warehouse can be really effective and efficient for your Business Intelligence (BI) processes. With online analytical processing (OLAP) cubes being a common technology presence, the difference between OLAP cubes and data warehouses might seem confusing to you. In this article, we’ll discuss the benefits of data warehousing for non-profit data management and analytics tasks using Intacct. This article discusses modern budgeting and forecasting solutions for non-profit organizations, zooming in on premier feature and functionality offerings to expand your Intacct experience. Budgeting is such an important process, regardless of whether you’re doing financial planning in your personal life or full-scale organizational budgets and forecasts. For non-profit organizations, budgeting can be the exact reason you are able to live within your means, surviving to continue providing what the community needs. When recently speaking to non-profit budgeting contributors, I discovered that one of the biggest hurdles is the technology they are using to respond to today’s complex planning demands. Excel might be perfect for a household budget, but performs subpar for any organization of a healthy size. If you’re reading this article, you’re probably looking at independent software vendor (ISV) budgeting tools that can bring together your historical Intacct actuals and/or maybe information from another system, like payroll from ADP, to simplify and upgrade your planning processes. Modern planning software delivers secure collaboration for your budgeting and forecasting tasks, which streamlines the requisite teamwork, so that you can successfully live within your organization’s means. This article discusses dashboard software solutions for non-profit organizations that are seeking to enhance their Microsoft Dynamics GP data analyses. Dashboards or data visualizations come in the form of graphs, charts, and scorecards, and you’ve undoubtedly interacted with them in some capacity. This is probably because executives are prioritizing this software offering, as Gartner’s recent study on Financial Executive International CFO Technology reported. Since business is always moving at such a rapid pace, we need easily digestible and accessible data analyses. Data visualizations provide precisely that: charts, graphs, and scorecards spotlight trends, successes, and challenges employing key performance indicators (KPIs) and your data to inform management decision-making for a department, a project, and/or the entire organization. This article will zoom in on financial reporting solutions for non-profit organizations using Intacct, with a focus on features and functionalities to expand your Business Intelligence analytics. Financial reporting is arguably the touchstone in terms of Business Intelligence (BI) analytical processes, and for non-profit organizations, it is no different. If you’re using Intacct, you know that there is financial reporting functionality built right into the Enterprise Resource Planning (ERP) system. But there are plenty of organizations turning to third party products to perform these routine tasks of producing financial statements – why? The independent software vendor (ISV) offerings for financial reporting software are designed with consumer demands in mind, and they streamline and expand analyses for a richer understanding of the data, trends, opportunities, and challenges. This article will discuss the benefits of third party financial reporting solutions for non-profit organizations using Intacct. In this article, modern financial consolidation solutions will take center stage, particularly for multi-location Non-profit organizations using Intacct to manage parent company finances. There is a population of non-profit Intacct customers who are overseeing the financials of their organization with multiple locations or entities. Consolidating organizational information from more than one location, sometimes with diverse currencies, can be tedious without a premier financial consolidation solution. Data continues to grow in size and significance in terms of decision-making. More executives than ever are shopping for the right tool to allow their business end users to aggregate data into a set of financial statements or for summarized operational reports. This article will zoom in on features and functionalities for the non-profit Intacct user who performs consolidations for monthly financials or annual budgets for the parent organization.